Preparing for the breakthrough/calamity: that's what we spend most of our time doing. The breakthrough speech that will change everything, or the giant insight that opens every door. We fret about the apocalyptic ending, the big crash, the slam climax as well. Of course, it almost never happens that way. Products and services succeed one person at a time, as the word slowly spreads. Customers defect one person at a time, as hearts are broken and people are disappointed. Doors open, sure, but not all at once. One at a time. Reading: "If you don't see Merry Christmas in the window, don't go in that store." Quotes: "A decision without tradeoffs isn't a decision. The art of good decision making is looking forward to and celebrating the tradeoffs, not pretending they don't exist." "Take Your Eyes Off Yourself and Lead"
His arrival to this world was bad timing. He was born during a hostile time. His birth was not welcomed. He went straight into the royal family. He learned the ways of Egypt. He was educated among the best. But the day came when Moses could not put up with the oppression and took matters in his own hands. It all went downhill for Moses. From royalty to runaway. From the palace to the desert. But at what seemed to be the lowest point of his life, Moses met the King of Kings. Taking off his sandals showed his dirty feet, but more importantly, that meeting with God revealed Moses' deep heart issues. For when God called him, Moses made excuses. "Who am I?" Ex. 3:11. Overwhelmed by God's calling, Moses turned his eyes upon himself. He correctly realized that he was incapable of fulfilling the task given to him. God told him, "I am with you." When fear paralyzes you, don't look at yourself. Instead, remember that God is with you. "Who are you?" Ex. 3:13. God introduced himself as "I am who I am." God is who we are not. He is hope when it seems that our ministry is failing. He is wisdom when we don't know what to do. He is strong when we are weak. God is all we are not - and God's vision for your ministry will be fulfilled because who He is. "What if?" Ex. 4:1. Why take the risk? Why go after God's vision if there is no guarantee of success? God replied by asking Moses, "What is that in your hand?" In other words, let me show you that a piece of dead wood is enough for me! God is not dependent upon our abilities. His glory will be revealed in our weaknesses. Go dependent. Go by faith. "I am not good enough!" Ex. 4:10. God's vision sounded impossible. God replied, "Now go! I will be with you as you speak." When you stand in front of your church, cast your God-given vision for your church on His authority. "I'm scared - send someone else" Ex. 4:13. God said, "Better yet, you will go with someone else." God sent Aaron with Moses, a man who had the right gifts to help and encourage him. Ask for the same in your ministry. "It's only bringing trouble!" Ex. 5:22. God was leading - and the enemy never likes that. God's vision brought trouble to the people. He was leading them out of a painful situation, but also out of their comfort zone and into a life of faith. He told Moses "Now you will see what I can do!" Ex. 6:1. So don't panic if your God-given vision arouses the enemy. Expect it. "I can't do it" Ex. 6:12. Things got worse before they got better. After meeting with Pharaoh and, it seemed, failing, Moses again went back to looking at himself. This time, God's answer was a command to action: "Lead the people of Israel out of Egypt." What are your excuses for not leading? God has called you. He will equip you. He will protect you. He will guide you. He will give you success. Just be faithful. Lead the people by being led by God. Discuss this article with Harold on our Facebook page. Are you looking for that perfect testimony of faith to illustrate your sermon, to show illustrations of the Adventist Church around the world, or to play during missions time during Sabbath School? Between these three sites there are hundreds of Adventist stories available for download to play on the big screen. And the best part is that there are no download fees! 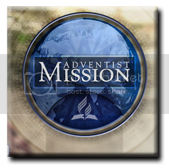 Adventist Mission-Produces a variety of story lengths to fit in with your schedule. The stories from around the world center not on the stories of highly-educated super-Christians performing exceptional feats. They are the stories of everyday people who answer the call to touch the lives of others in the name of Jesus. 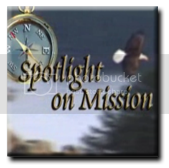 Spotlight on Mission-features stories that come from the North Pacific Union Conference of Seventh-day Adventists. This is a YouTube link so you may have to use a YouTube downloader such as www.bestvideodownloader.com to save to your hard drive so you can project them to the congregation. 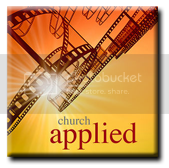 Church Applied Stories of Faith comes from the Pacific Union Conference and tells stories of individual members and churches who are involved in Ministry. Let your congregation see what God is doing in Hawaii, California, Nevada, Utah, and Arizona. Christians on Christmas. Are these good messages for the church to give - or not? Say no to Black Friday, and replace it with "Bless Friday." "If you don't see Merry Christmas in the window, don't go in that store." A unique application of Vacation Bible School: Do it during Christmas break! Does the fall of Crystal Cathedral herald a bursting mega-church bubble? Some researchers think so. Quote: "Megachurches have become so big that their economics are unsustainable." The mark of a dying church? Here's what Tony Morgan says. Quote: "When churches become inward focused and start making decisions about ministry to keep people rather than reach people, they have also started to die." A particularly good summary of Paul's view on the issues of women in ministry, from Craig Keener. Quote: "Increasingly, secular thinkers attack Christianity as against women and thus irrelevant to the modern world." How proactive should you be in defense of your beliefs? In Iowa, a Christian baker refused to make a wedding cake for a lesbian couple. The new atheism: the vast majority of atheists are white - though there's a new movement among African Americans. Are we prepared to counter the fastest-growing (non)affiliation in the western world? The first and principal duty of a pastor is to feed the flock by diligent preaching of the Word...This feeding is of the essence of the office of a pastor, as unto the exercise of it, so that he who doth not, or can not, or will not, feed the flock is no pastor whatever outward call or work he may have in the church. A decision without tradeoffs isn't a decision. The art of good decision making is looking forward to and celebrating the tradeoffs, not pretending they don't exist. I think that I shall never see / a billboard lovely as a tree. / Perhaps, unless the billboards fall, / I'll never see a tree at all. A reminder: You're free to republish pieces from Best Practices in your own newsletter or blog, as long as you give attribution to Best Practices and the author of the piece. You'll find here an archive of all Best Practices newsletters going back to its beginning. ADRA has resources available for World Aids Day. Adventists InStep for Life (AISFL) webinar, Tuesday, December 13, at 8-9 p.m. EST. NAD NewsPoints (formerly Friday Fax): by email, or on a web page. Got a tool, resource, site, article, idea or seminar that you like a lot? Share it with us at BestPractices@ameritech.net. Do you have an event you'd like to invite NAD pastors to? Send details to BestPractices@Ameritech.net. Worldwide Day for Prayer and Fasting. Jan 7, 2012, Worldwide. First Sabbath of each quarter has been designated as days of prayer and fasting for the world church. Families and individuals are encouraged to establish the first day of each month and one day a week as normal or partial fast days. Support information and helps are being developed by the Prayer and Fasting Subcommittee. 2012 West Coast Worship Conference, February 2-4, Simi Valley, Adventist Media Center. Will feaure Elizabeth Talbot, Ryan Bolger, Ray Beeson, others. Best Practices is a Vervent publication of NAD CHURCH RESOURCE CENTER. Editor: Loren Seibold, Ohio Conference. E-mail: Best Practices. You are free to republish pieces from Best Practices in your own newsletter or blog, with attribution to the Best Practices newsletter and the author of the piece.